A photograph of Eureka Lake Resort, built by C.P. Dewey in 1899 on an elbow lake of the Kansas River near Manhattan, Kansas. 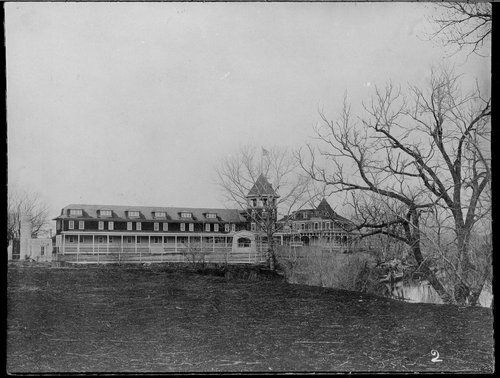 The flood of 1903 destroyed the lake and resort and in 1906 the property and hotel were sold to the Odd Fellows and Rebekahs. The hotel was converted into the Rebekah-Odd Fellows Home of Kansas and used to house the elderly. On November 26, 1916, the building was destroyed by fire.